Samaritan's Purse is working through partner organizations to distribute relief items to refugees fleeing the Middle East. 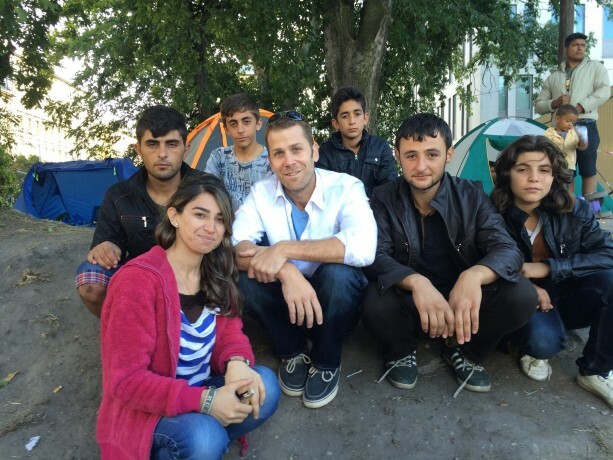 Click above to hear a brief phone interview with Samaritan’s Purse staff member, Dave Holzhauer, as he shares the needs he is seeing in Europe, how Samaritan’s Purse is helping, and ways to pray for the refugees. 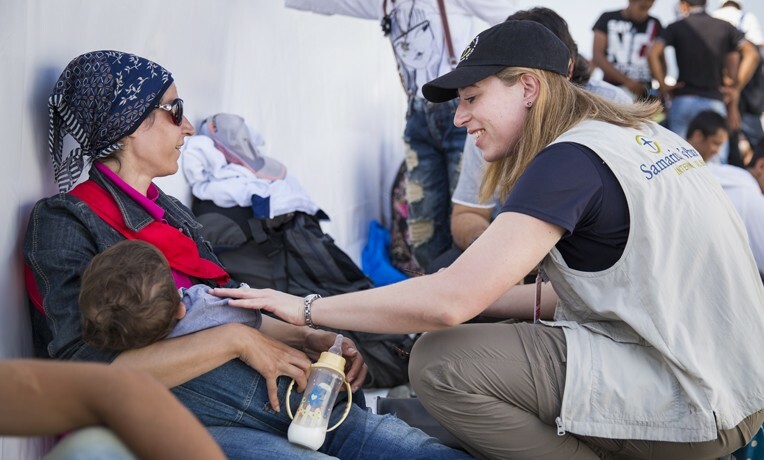 He is part of a multinational Samaritan’s Purse team stationed in several European countries to help meet needs of those who are suffering. Dave and the group from Northern Iraq took a photo together to send back to their mutual friends. Dave shared about a powerful meeting with a group of Yazidis at the Budapest train station. While they told him about enduring conflict and the deaths of friends and family back home in Northern Iraq, he realized it was an area he had worked in before with Samaritan’s Purse. “Samaritan’s Purse is able to work with, not only helping those along the way, but we are actually still at the source of the conflict,” Dave said, referring to our work in Northern Iraq with those who have fled from ISIS. He asked for continued prayers for our staff and church partners who are working to offer help and hope to these hurting people. Most important, he encouraged listeners to pray for the refugees themselves.